On paper, the Pixel 3 and Pixel 3 XL smartphones are pretty good, especially at the right price, with their surprisingly capable single rear-facing cameras, always fresh software, and buttery-smooth performance. But out in the real world, a lot of owners of the latest “pure Google” handsets have been complaining about a large number of bugs and glitches ever since the Pixel 3 duo made its commercial debut. While a bunch of functionality issues were fixed with the most recent monthly security patch, others are only now starting to make headlines, concerning everything from phone calls to fingerprint gestures. Inconsistencies with the fingerprint sensor swipe gesture showing notifications are apparently nothing new, judging from a Reddit thread started around two months ago and bug reports filed on the official Google Issue Tracker in early November. As the weeks have gone by, complaints multiplied, and although the problem is probably not as widespread and definitely not as critical as others reported over the past couple of months, it still sounds frustrating for a large enough number of users to warrant Google’s attention. 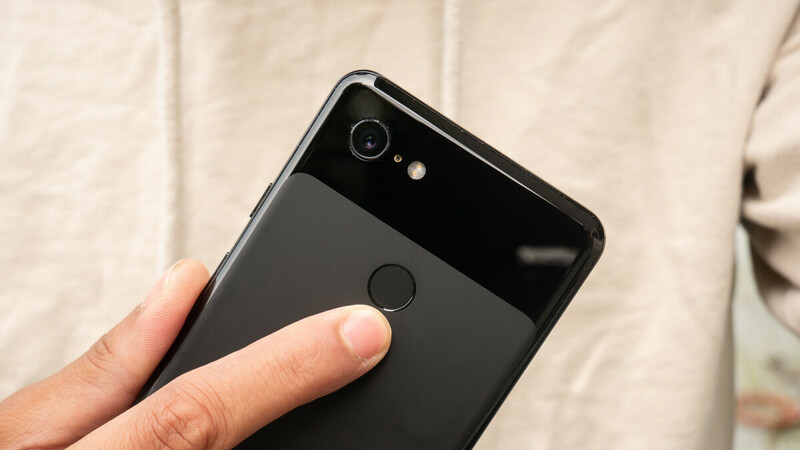 In fact, quite a few Pixel 3 and 3 XL users make comparisons with the same fingerprint sensor gesture on previous generations of the Google-made phones, claiming this inconsistency was never a problem on Pixel or Pixel 2 models. It’s unclear whether the issues are software or hardware-related, and while Google is definitely aware of what’s going on, there’s no word on an impending fix yet. After all these bugs and hardware problems, will PA change their "9" excellent rating for the pixel 3 and 3 xl? And here we have yet ANOTHER problem to add to the ever growing list of software and hardware problems that the Pixel3/3XL have been facing since their launch, but Google apologists will say it’s overblown, smh....worst smartphones of 2018. No, they haven’t. But they’ve certainly rated you the worst Google Pixel apologist on the planet. What you said would be funny if it wasn’t so pathetic that you’re turning a blind eye and deflecting for Google’s horrible QC with the Pixel line. Lol you got him. Dude has been making trollish comments at pixel yet he refuses to answer any questions about the issues he supposedly encountered. Lol, what he got was owned. My comments made on Pixel related articles are backed by documented facts, while you make trollish comments on Huawei, Nokia and BlackBerry articles while refusing to admit that you’ve never used any of their recent smartphones, which is why you can’t make factual statements about them, like what SoC they use. You even go as far as to pretend to have owned some. He's never used anything outside of Nokia and blackberry. He's just speaking from his backside. You’ve never used a smartphone before, and speaking out of ones backside is your specialty. But do continue with your apologist ways and continue to deflect from the issues that actual Pixel owners are facing. I think is hardware related bug. On Samsung S series it is working flawlessly. You can have all these pixel problems for only $999. Hurry, call now before other people do. Glad I don't have any of these issues that have been reported the past couple days. I am enjoying my pixel 3 xl. And I am glad I made the purchase. Give your phone a gay sounding name like pixel and you should expect nothing but problems. I've had my Pixel 3 since 2 weeks after it's release and honestly never had any of the said current or prior issues. Android is just one big inconsistency, filled with bugs, and propped up by a second rate App store. Apple is not immune to bugs either. It's just easier to fix because there are fewer ios phones against thousands androids. And since pixel manufacturers are lg and htc, maybe we know who to point fingers with. No issues with Fingerprint gestures here. However, the sensor on the Pixel 3 does seem more sensitive to skin condition as recently it has been failing to read my finger when my skin gets a bit dry and rough and dirty. Never had that issue on my 1st gen Pixel XL. I definitely have inconsistency with my fingerprint gestures. Another gesture I noticed that is inconsistent is the knock knock gesture.